Have to ever looked in you cupboard and found an onion that has started to sprout? 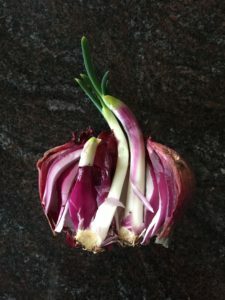 Why not grow one or even a couple of brand new onions. 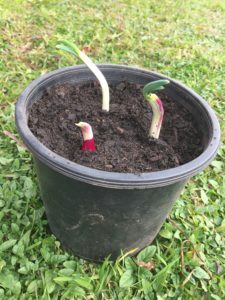 I found this Spanish onion had sprouted in my cupboard and thought I’d take the opportunity to grow a few more. Cut carefully lengthwise to expose to centre sprout. 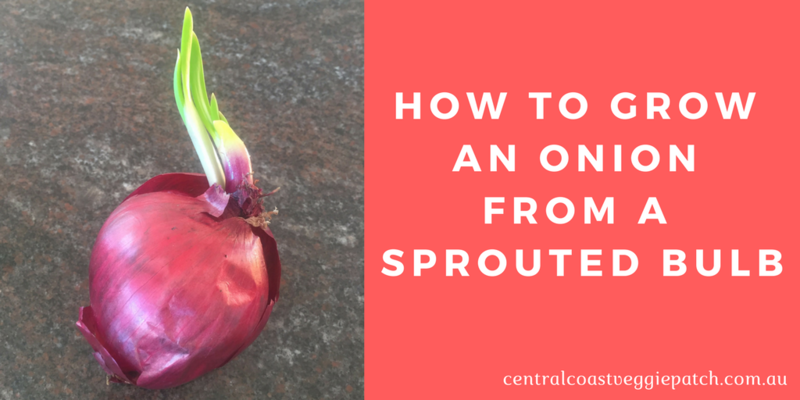 Remove the outer layers of the onion, until you just have the centre sprout remaining. 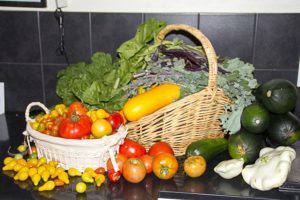 If there are multiple sprouts, separate them. 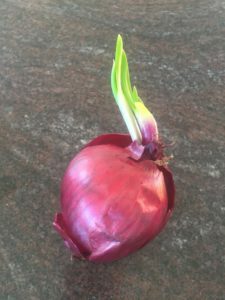 Plant the onions into you garden or a pot and keep well watered for the next few weeks to encourage root growth. 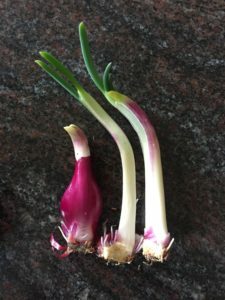 When the green tops start to wilt and go brown, its time to harvest your onions. 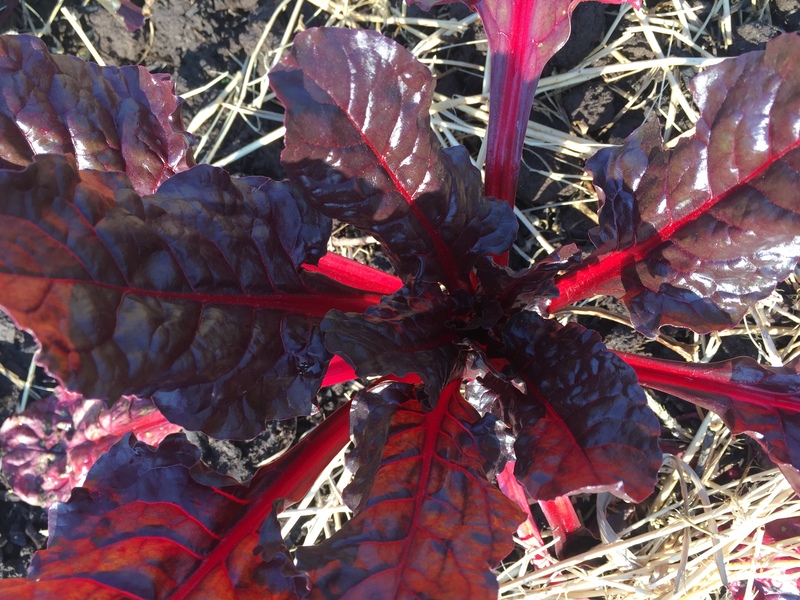 Look at the gorgeous colour of our silverbeet. 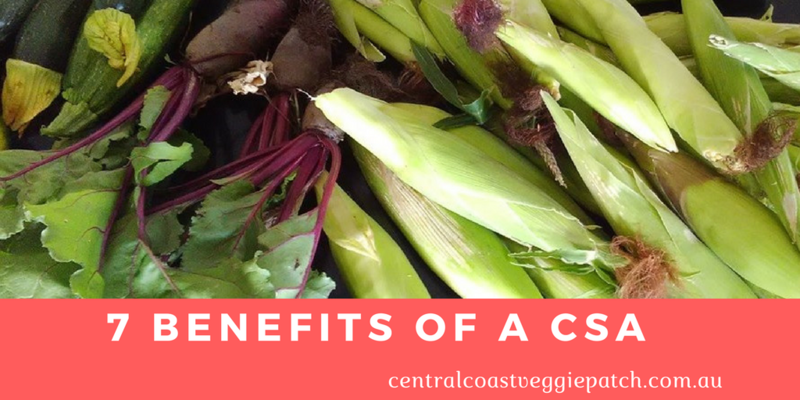 Available soon in our CSA boxes!